Episode 71 - The week after The Masters always features the RBC Heritage at Harbour Town Golf Links. We talk the Heritage with much reflection on the most incredible Major Championship of recent times. Intro: 00:00; Masters Review: 03:40; RBC Heritage Start: 24:59. Episode 70 - Paul and Steve talk through their individual strategies for DraftKings at the 2019 Masters. Recorded Tuesday, they run through the latest course conditions, weather forecast, previous Million Maker team details and what they are looking for in terms of key statistics across the 2019 field. They also run through who they are considering for inclusion in their teams this week. Intro: 00:00; DraftKings Masters New Customer Promotion: 03:12; Likely Weather Conditions: 07:28; Previous Masters Millionaire Maker Winning Lineup Analysis: 13:08; 2019 Analysis and Player Selection 20:20. Episode 69 - It's Masters week and the best players in the world are all driving down Magnolia Lane, looking to win a coveted Green Jacket. Barry, Paul and Steve answer a number of listener questions (thanks for all of them) giving you some feedback and insight. Plus they also highlight who they are backing at the 2019 Masters. Extended each way places are available aplenty this week with Coral and Paddy Power leading the way. All of the vert best 2019 Masters bookmaker promotions are available at Golf Betting System including boosted new customer deals from 888Sport, Coral and Paddy Power for UK and Republic of Ireland residents. Intro: 00:00; Listener Reviews: 02:35; Listener Q&A Session: 06:20; Best Bookmaker Promotions: 32:55; Masters Tips Start: 36:20. Episode 68 - It might be the week before, but Paul, Steve and the returning Barry, talk about the 2019 Masters. The most anticipated Major Championship of them all is almost upon us. Over an hour of Masters chat, talking players that they rate both from a betting and DraftKings perspective and those that they have reservations about. Episode 67 - The Valero Texas Open is the 2019 Masters curtain-raiser on the PGA Tour. Played around the AT&T Oaks Course at TPC San Antonio, this is a stretching Par 72, designed by Greg Norman. The course has plenty of bite, just ask Kevin Na. Rickie Fowler, Matt Kuchar, Tony Finau, Jim Furyk and Billy Horschel headline. Intro: 00:00; Listener Reviews: 02:50; Last Week De-Brief: 05:57; Valero Texas Open Start: 21:52. Episode 66 - A packed week of action with the WGC Dell Match Play taking centre stage in Austin Texas. We also have the alternate PGA Tour event in the Dominican Republic - the Corales Championship and the European Tour makes it's annual visit to India for the Hero Indian Open. Intro: 00:00; Listener Reviews: 02:42; WGC Dell Match Play Start: 08:34; Corales Championship Start: 31:48; Hero Indian Open Start: 52:08. Episode 65 - The Maybank Championship features on the European Tour from Kuala Lumpur, Malaysia. Who will join recent winners Sharma and Zanotti as recent winners at Saujana G&CC? The PGA Tour ventures to Tampa Bay, Florida for the Valspar Championship, on the tough Copperhead Course at Innisbrook Resort. With Dustin Johnson, Jason Day and Jon Rahm in the field, will this be another tournament where a short price ultimately prevails? Intro: 00:00; Listener Reviews: 03:01; Last Week De-Brief: 05:21; Maybank Championship Start: 19:47; Valspar Championship Start: 42:25. Episode 64 - The Players Championship is the strongest field in golf. 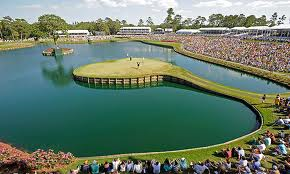 Played on the Stadium Course, TPC Sawgrass with the infamous 17th Island Hole, it's iconic when it comes to each PGA Tour season. The best field of 2019 includes Tiger Woods. The European Tour features the Magical Kenya Open. Significant Terms: 18+. Valid to new players only, who make a first £/$/€10 deposit via a payment card (e-wallet deposits do not qualify). Profit Boost Ticket [PBT] is equivalent to 200% on top of a winning bets profit. Profit Boost Token Real money bets only, max stake of £/$/€10. Free bets do not qualify. PBT bets cannot be ‘Cashed in’. PBT expires after 7 days and additional wins (up to £/$/€5000) credited as cash upon bet settlement. This offer may not be combined with any other offer. Withdrawal restrictions and T&Cs apply. Significant Terms: New customer offer. Place 5 x £10 or more bets to receive £20 in free bets. Repeat up to 5 times to receive maximum £100 bonus. Min odds 1/2 (1.5). Exchange bets excluded. T&Cs apply. 18+|Gamble Aware.- claim your offer here using promo code ZBBC01 during registration. Intro: 00:00; Listener Reviews: 02:06; Last Week De-Brief: 05:53; The Players Championship Start: 18:20; Magical Kenya Open Start: 48:35. Episode 63 - No Tiger at the Arnold Palmer Invitational but we still have Rory McIlroy, Justin Rose, Brooks Koepka, Jason Day and Rickie Fowler amidst one of the strongest fields of 2019. The European Tour sees the Qatar Masters - an established tournament with huge correlating trends to coastal links golf. Significant Terms: New customers only. 18+, BeGambleAware.org. Minimum deposit £10. You must place a sportsbook bet* of £10+ at minimum odds of 1.40 (2/5) to recieve your free bets and casino bonus. 35x wagering on casino bonus. Free bet will expire 7 days after opt in. Casino bonus will expire after 30 days of opt-in. Terms apply. We're giving you the opportunity to win in 2019 as we're running our popular Majors Competition in association with bet365 who've put a total of £250 in cash up for grabs to the winners. The competition is in the form of a one-and-done, so all you need to do to enter is give us a single player for each of the 4 Majors - full details are here. As Paul mentions in the podcast we have dedicated Golf Betting System Leagues across both PGA and European Tours, every week. So if you are a DK player who wants to join our league or are totally new to DraftKings Golf, and want to access the appropriate New Customer Offer, use the links below. Intro: 00:00; Listener Reviews: 04:19; GBS 2019 Majors Competition: 05:25; Last Week De-Brief: 07:00; Arnold Palmer Invitational Start: 18:48; Oman Open Start: 01:02:40. Episode 62 - The Honda Classic perennially plays as the toughest par 70 on the PGA Tour. Only the tough need apply and in the main, most of the elite give it a miss. Thomas, Fowler, Garcia, Scott, Woodland, Simpson and Smith though step up to the 1st tee at Jack Nickalus' Champions Course at PGA National. The European Tour returns to the Gulf for the next 2 weeks with events across Oman and Qatar. The inaugural 208 Oman Open saw Joost Luiten win and he returns to defend this year in a field which includes Pieters, Fisher, Levy, Wood, Smith and Detry. Intro: 00:00; Listener Reviews: 02:41; GBS 2019 Majors Competition: 05:20; GBS DraftKings Leagues: 08:39; Last Week De-Brief: 13:34; Honda Classic Start: 21:31; Oman Open Start: 53:16.